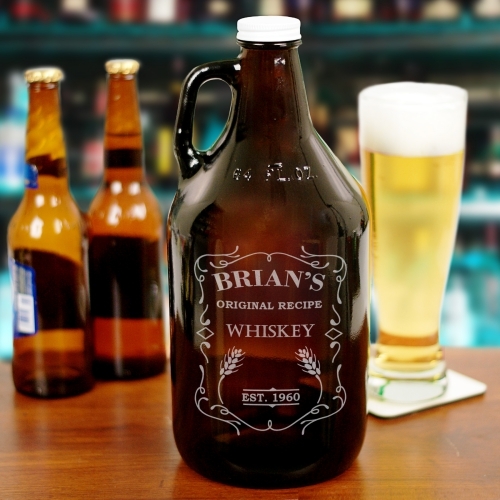 Give a gift that is both memorable and stylish when you give your whiskey lover this personalized growler engraved with their name and any year. Perfect for grooms to be and their groomsmen, Dad or anyone who enjoys a good whiskey on the rocks. And the best thing is that all of our personalized barware is customized at no additional cost! Check it out for personalized Father's Day gifts and more. Love the growler. Great gift and great deal.